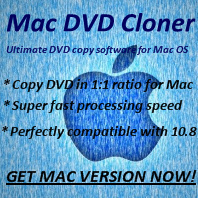 Does Any DVD Cloner Platinum support external burner? Q: Does Any DVD Cloner Platinum support external burner? A:Yes, Any DVD Cloner Platinum can support external DVD burners. External burners have better conditions than internal burners especiall that with laptops. Any DVD Cloner Platinum supports external burner very well.